As any resident of the Villages of Citrus Hills will happily tell you, there are hundreds of great reasons to choose Citrus County as your retirement destination. Depending on your own personal interests, there are a number of different things about our community that might excite you. To help make sure that you don't miss the most important reasons to head our way, we have put together a list of the top 10 reasons to live in Citrus County! One of the reasons to live in Citrus County that often goes overlooked is the fact that we have an outstanding network of healthcare providers. Between Citrus Memorial Health System and Seven Rivers Regional Medical Center, you won't believe the quality of care that is available here, should you ever need it. Because we’re situated just over an hour from both Orlando and Tampa, there are big-city amenities associated with both of those cities that are available to residents of the Villages of Citrus Hills. This is great to know for things like catching shows, shopping, or attending professional sporting events, but it can be an even bigger deal if you need to fly out of one of the international airports in those cities. While many of our residents think nothing of driving to Orlando or to Tampa for a day, we are also located far enough away that you don't have to worry about any of the stress that comes with city living. Like big-city traffic. One amenity that Citrus County residents are not lacking is quality golf courses. In addition to the excellent courses here at the Villages of Citrus Hills, there are also more than a dozen other public and private courses to choose from in the area. Being "just far enough" from the big cities goes hand-in-hand with the number of local, state, and national parks you will find throughout Citrus County. Whether you are looking for a great picnic spot, a place to relax on the beach, or a walk through the woods, you will never run out of quality options here. Many of our local parks also boast impressive history that tells the incredible story of the area. But in addition to the local parks, you will also find lots of history in downtown areas like Inverness and Crystal River, as well as in our local museums. Another thing our residents love about all of the local parks in Citrus County is the amazing amount of wildlife you can find there. We are located right in the heart of Florida's "Nature Coast," so there is never a shortage of wildlife to be seen, especially if you are passionate about birding. 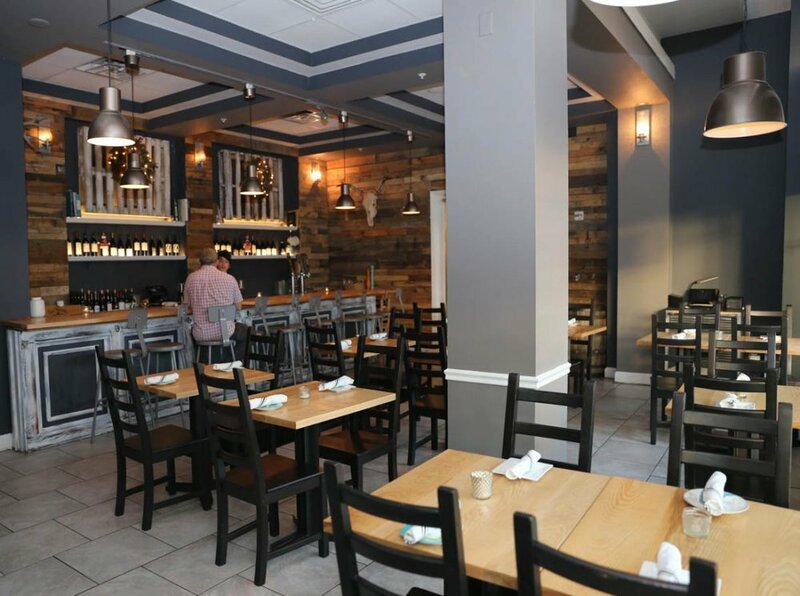 You can find a single great restaurant in just about any town across the country, but here in Citrus County we are proud of the fact that we have an incredibly wide range of excellent restaurants. No matter what style of food you are looking for, you can find someone making it right here. Between the Withlacoochee River, Crystal River, Kings Bay, and the Gulf of Mexico, there are more waterways to explore in and around Citrus County that most people know what to do with. Whether you are passionate about kayaking, fishing, or just heading out for a cruise, there is always something happening on the waterways around the Villages of Citrus Hills. As much as we love to brag about the rest of the wildlife you will find throughout Citrus County, our biggest selling point is that we are the only place in Florida where you can swim along with giant manatees right in their natural habitat. Between Homosassa Springs and Three Sisters Springs, manatees make their homes here in Citrus County and our residents love to stop by to appreciate them. As we said before, this list is just the tip of the iceberg as far as reasons you might choose to live in Citrus County. Come on down and see for yourself! 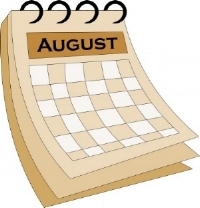 The hot and sticky month of August has arrived, but the activities and events calendar here at the Villages of Citrus Hills is packed with plenty of cool things to do throughout the month. Whether you are looking for exciting social events, fun opportunities to learn, clinics for improving your golf or tennis game, or just a great meal with friends, we have got you covered with everything happening around the community this month. Let's take a closer look at some of the exciting activities and events coming your way in the month of August! The August social events will kick off with the Citrus Hills Cruise-In on Friday, August 11 in the Tiki Bar parking lot. Sponsored by the Citrus MOPARS, this event is completely free to attend, and will feature all of the very best muscle and sports cars from around the community. The next edition of our monthly Trivia Challenge will be held on Tuesday, August 15 in the Hampton Room. This month, the dinner menu will include Baked Haddock, Chicken Parmesan, Penne Pasta with Garlic, and lots of veggie and dessert options. Dinner starts at 5:45 pm and the trivia fun will follow around 6:30 pm. It wouldn't be summer in the Villages of Citrus Hills without a Flicks & Floats party at the Activity Center Pool. This month's movie night is set for Friday, August 18, and the movie will be The Accountant starring Ben Affleck as a brilliant but lethal numbers wizard. There will be plenty of buttery popcorn available, but you can also get 10% off of a meal at Skyview Restaurant or The Grille by showing your tickets for this event! The biggest party of the summer will definitely be the 10th Annual Copacabana Night on Friday, August 25 in the Hampton Room. This year, the event will feature a menu of Cuban Pulled Pork, Chicken and Red Peppers in Garlic Wine Sauce, and some delicious sides. There will also be salsa lessons and a live orchestra, so this is one summer party that you don't want to miss out on. The new Coffee Shop will be holding an Interactive Reading event on Tuesday, August 8 from 12:30 pm to 2 pm. Local author Ronnie Allen will be present for a group reading of her first novel, Gemini: The Sign Behind the Crime. There will also be a Q&A and book signing after the reading. On Saturday, August 12, the Citrus Hills Vacationers Club will be taking a group trip down to Tampa to see Motown The Musical at the Straz Performing Arts Center. 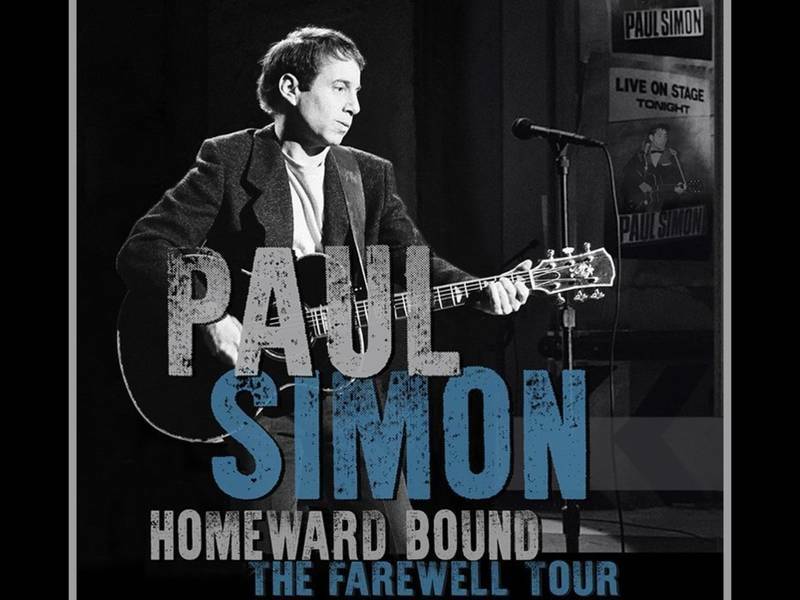 Tickets to this event are $125 and include orchestra seating and round-trip transportation to the event. The Citrus Hills Vacationers Club is also planning a trip to St. Petersburg to see The Chihuly Glass Collection by artist Dale Chihuly at The Morean Arts Center. In addition to exploring the glassblowing exhibit, there will be plenty of time to venture out and see other popular St. Petersburg attractions. There will be a Lunch & Learn event in the Garden Room on Thursday, August 31 at 12:30 pm with guest speaker Lisa Dider discussing American Madams (1870-1910). Lunch for this talk will include a Caprese Chicken Sandwich and Pasta Salad, followed by a slice of Strawberry Cloud Cake. The big golf event of August will be the Southern-Sky Two Person Championship that will start at Skyview at Terra Vista on Saturday, August 26 and conclude at Southern Hills Plantation Club on Sunday, August 27. If you would like to participate in this unique pairs tournament that covers two different courses, you must register with the Skyview Pro Shop by August 14. If you are looking to improve your golf game during the month, you should definitely make a point to attend Golf Pro Wayne Larsen's Free Golf Clinics. This month, Wayne will be working with beginners on August 7, 8, and 9. Then he will be back to work with intermediate golfers on August 15, 22, and 29. Anyone looking to learn the basics of tennis is welcome to attend the Free Beginner Tennis Clinic on Tuesday, August 8 at 11 am. As always, the only thing required to attend this clinic is a pair of tennis shoes. The Skyview Tennis Center will be happy to loan you a racket for the clinic. Skyview Restaurant has some exciting Tuesday night dinner specials planned for the month of August. You won't want to miss their Greek Night on August 12 or the Asian Feast on August 29. Both dinners are scheduled to start at 5 pm and run through 8 pm. It's all about mixers over at the Tiki Bar, and they will be mixing it up this month with block parties for Cambridge Greens on August 3, Canterbury Lakes on August 17, and Celina Hills on August 31. They will also be hosting a Singles Social Happy Hour on Tuesday, August 29 from 4 pm to 6 pm. If those mixers and the warm weather aren't enough to get you to the Tiki Bar this month, you might want to visit for their Beers Around the World special on Thursday, August 24 or the Fantasy of Flights Wine Night on Tuesday, August 29. If you are interested in pampering yourself, you might want to try a Citrus Surprise Spa Pedicure at the BellaVita Spa. With all of the exciting things happening around our community during the month of August, there is absolutely no reason not to get out of the house and have some fun! 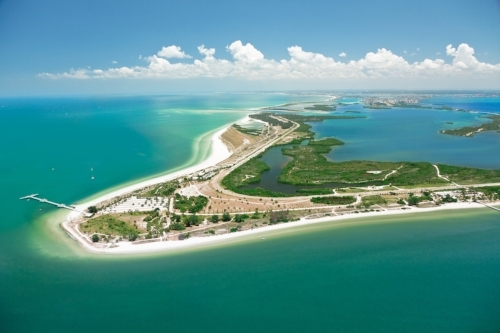 Located about halfway between Sarasota and Fort Myers, Port Charlotte is the perfect Gulf Coast destination for residents of the Villages of Citrus Hills who are looking to venture a little further south than Tampa for their next getaway. Traveling by car takes about three hours, which makes it just far enough away to feel like a vacation, but still close enough that you don't spend your whole weekend traveling. Let's check out some of the best places to stay, things to do, and places to eat that you will find in Port Charlotte! One of the biggest appeals about a weekend in Port Charlotte is that visitors have some amazing bed and breakfast accommodations to choose from. The Banana Bay Waterfront Motel is a local favorite that offers an Old Florida feel situated right on the bay. If renting kayaks and strolling along the docks is your idea of a relaxing weekend, this is a great location. Another popular B&B is the Tropical Paradise Bed & Breakfast, where hosts Cliff and Joanne go out of their way to make sure that every detail is taken care of. Their home is located on a beautiful lot that features a covered pool and access to the canal. If your preference is to stay at one of the chain hotels, there are also quite a few of those to pick from in Port Charlotte. One of the highest rated hotels in town is the Sleep Inn & Suites Port Charlotte, where you will find a gorgeous outdoor pool and all of the other amenities you would expect from a big brand hotel. Once you iron out the details of where you are going to stay in Port Charlotte, the next step is to figure out exactly what you are going to be doing during your weekend getaway. For many people, that choice is as simple as enjoying the water…and there are a few different ways to do that in Port Charlotte. Depending on where you stay, you will likely have access to a number of water sports, fishing piers, and even some boating experiences. Another relaxing way to enjoy the water in Port Charlotte is to spend a day at Port Charlotte Beach Park. Here you can stroll on the boardwalk, collect a wide range of shells, or jump right into the water! The park is also a perfect place to have an evening picnic while watching the sunset. Since Port Charlotte is the spring training home of the Tampa Bay Rays, many residents of the Villages of Citrus Hills plan their visits during the early spring months. However, Port Charlotte is also home to the Port Charlotte Stone Crabs, which is a minor-league affiliate of the Rays. That means that you can catch a game here throughout the summer, and minor league baseball games are always fun to see in person! Assuming that you are going to be staying at one of the local bed and breakfasts, you probably won't have to worry about finding a good spot for coffee and breakfast in the morning. But when the time for lunch rolls around, The Philadelphian should be the first local restaurant on your list. Here you will find authentic Philadelphia-style cheesesteaks that will absolutely blow your mind. If you are thinking about heading over to Port Charlotte Beach Park for a sunset picnic but don't feel like packing dinner, grabbing a delicious pie from Pioneers Pizza is always a solid option. We recommend going with either the Formaggio or the Meat Lovers specials! Every weekend getaway needs at least one fancy dinner, and the place for that in Port Charlotte is JD's Jazz Club & Fine Dining. Here you will find a first-class fine dining menu that is accompanied perfectly by live music and delicious cocktails. The only question here is whether you will get more enjoyment from the food or the music! If you are looking for a great place to spend a relaxing weekend, Port Charlotte along the bay, is filled with waterfront activities and delicious dining. Spring is one of the busiest times of the year for many of the communities that surround the Villages of Citrus Hills. 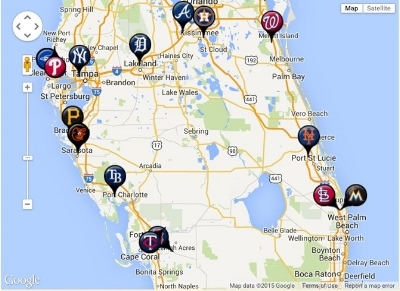 We have the pleasure of being located close to the Spring Training homes of six different Major League Baseball teams, so if you are looking for a fun way to spend a day before those teams head north for the summer, here is a little background on each of the six teams you can visit. The past few seasons have not been kind to the Yankees, but their current rebuild is likely to produce a number of interesting stories to watch at their Spring Training home in Tampa this year. Gone are Mark Teixeira and Brian McCann, which will make room for up-and-comers like catcher Gary Sanchez, who burst onto the scene last year, and first base prospect Greg Bird, who hopes to follow in Sanchez’s footsteps this year. The Yankees were also active on the free agent market bringing in talented veterans like Aroldis Chapman, Matt Holiday, and Chris Carter, so there should be plenty of pieces to complement the pinstriped youth movement. Last year was supposed to be the year that the Blue Jays returned to the World Series, but those dreams were derailed by the Cleveland Indians in the American League Championship series. Unfortunately for Blue Jays fans, just getting back to the playoffs is going to be difficult this year after losing Edwin Encarnacion, Michael Saunders, Brett Cecil, Joaquin Benoit, and R.A. Dickey all to free agency. The team that will be taking the field in Toronto is definitely going to have a lot less firepower this year, but they still have an extremely deep pitching staff. Watching how those arms come around this spring will be able to tell us a lot about what to expect from the Blue Jays in 2017. This is the first spring training in Clearwater without Phillies first baseman Ryan Howard in more than a decade. There hasn’t been much winning for the Phillies in recent years, but things are looking better and better as many of the team’s young prospects like Odubel Herrera have started to produce. In addition to all of the great young talent the Phillies will be working with this year, they have also added proven commodities like Clay Buchholz, Howie Kendrick, Michael Saunders, and Joaquin Benoit through various trades and free agency. After failing to make the playoffs last season, many experts expected the Detroit Tigers to tear apart their entire roster and start from scratch with a complete rebuild. But as the winter wore on, it became clear that the upper management in Detroit was going to take one more shot with their core in 2017. Many of the regular Tigers like Miguel Cabrera, Justin Verlander, Ian Kinsler, and J.D. Martinez are back in Lakeland this spring getting ready to take one last shot at getting to the World Series together. Much like the Detroit Tigers, the Pittsburgh Pirates are a team that is bringing back the same roster that failed to make the playoffs last year. But the difference between the two clubs is that the team that makes its spring home in Bradenton is much younger. Star outfielder Andrew McCutchen had a terrible 2016 campaign, and has been dealing with trade rumors all winter long, but he is still on the Pirates roster and might come into the season with a massive chip on his shoulder. Combine that with all of the young talent that fills out the rest of the lineup and there is plenty to watch out for in Bradenton. The Baltimore Orioles had a fantastic year in 2016, but they fell just short at the end and lost to the Toronto Blue Jays in the American League Wild Card Game. Since then, the O’s have said goodbye to catcher Matt Wieters, as well as Pedro Alvarez, Steve Pearce, Yovani Gallardo, Nolan Reimold, Michael Born, and Vance Worley. With all of those subtractions, this is going to be a much different lineup in 2017. But the core of sluggers Manny Machado, Chris Davis, and Mark Trumbo is still intact. New to the Orioles this year are outfielder Seth Smith and catcher Willington Castillo. Whether you are a baseball junkie or just looking for a fun way to spend an afternoon, Spring Training games are always relatively inexpensive to attend and can be lots of fun if you know a little bit about what the teams are likely to be working on when you see them. With this little bit of background, you should be able to have a great time at any of the local games over the next few weeks! It’s no secret that stand up paddleboarding is quickly becoming one of the most popular water activities in the state of Florida and across the country. “SUPing”, as the early adopters who have fallen in love with the sport call it, offers the perfect combination of a low-stress workout and a sense of adventure and exploration in a relaxing environment. We’ve published a few pieces focused on the benefits that stand up paddleboarding can offer and some of the best local places to give it a shot. But this young sport is still evolving and there are new opportunities making use of these paddleboards every single day. If you have already experienced the calm feeling of floating through one of our local waterways on a paddleboard, you will probably see the natural connection to yoga and mediation. But many local tour companies have taken that connection a step further by offering yoga classes right out on those stand up paddleboards. And since stand up paddleboard yoga wasn’t innovative enough for some people, there have also been a handful of companies that are attaching waterproof LED lights to the bottom of their boards at night, which has opened up a whole new paddleboard experience. Taking your board out in the water during the day usually tends to be more about a great way to exercise than it is about having fun. But when you take that same board out at night, the fun level kicks up a notch and things start to get very interesting. First of all, when your paddleboard is throwing out a beam of light into the water surrounding it, you can’t help but notice that it closely resembles something that might have come from outer space. And when you get a group of these UFO-looking boards together, the effect is extremely beautiful. As you might expect, local fish think those LED lights are pretty interesting too. That means that your evening cruise is likely to be completely surrounded by all types of underwater friends. It’s not unusual to encounter small fish attracted to the lights, big fish attracted to the small fish, an octopus getting up close and personal with your board, and even more intimidating creatures like sharks and sting rays. If you are the type of person who has already invested in your own stand up paddleboard, you can order your own set of LED lights to attach to the bottom of it and start exploring all of your favorite local spots at night. But if you prefer to try out stand up paddleboarding at night as a part of a group, John Sharrrk’s Paddle Adventures in Tampa is currently one of the closest options. Captain John takes out groups of paddleboarders for a 90-minute lighted tour that starts right at sundown. You can get more information about pricing and book your trip right from his website. Heading further south, another lighted stand up paddleboarding option is Hooked on SUP in Englewood, FL. They offer all kinds of unique SUP experiences, and their lighted tour is absolutely fantastic. This lighted SUP experience is also extremely popular throughout the Keys, so you can find plenty more options down that way if you are looking for an excuse to book a weekend getaway. Residents of the Villages of Citrus Hills have already been quick to jump on the stand up paddleboard bandwagon. During the day, this experience offers a fantastic workout and a relaxing experience. But when you add in the lighted boards in an after dark experience, the fun level skyrockets and you will find the next level of enjoyment when it comes to stand up paddleboarding.